Brief requirements about ISO 37001 standard ? ISO 37001 sets out in a manner as to how an anti-bribery management system can function. A Risk based thinking has to be implemented and this culture can be adopted from the existing management system or tools such as Failure Mode Effect analysis.The risks are prioritized and sufficient controls have to be implemented. The process of whistleblowing is mandated in the standard. Who can apply ISO 37001? Any private, public or Government organizations located in any part of the world can apply the ISO 37001 Standard. How adaptable is the ISO 37001 standard? ISO 37001 is can be applied and is adaptable to varied kinds of organizations. Even if a company had been effected because of incidents of bribery can implement these standards. The certification to ISO 37001 improves the brand value of any organization. Can ISO 37001 be integrated to other management system? Yes ISO 37001 can be integrated to any management system standards such as ISO 9001:2015, ISO 14001:2015, OHSAS 18001, ISO 22000 Standard. Anti-corruption, procedures and controls including carrying out mystery audits and due diligence. 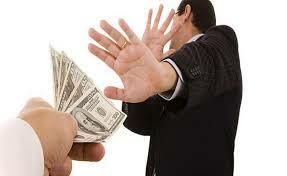 Training to prevent Bribery or Corruption in the form of favours, gifts and cash. Risk assessment based on ISO 31000 or FMEA. Measuring and Monitoring including investigation and actions.